Your face is your best expression of your whole life. 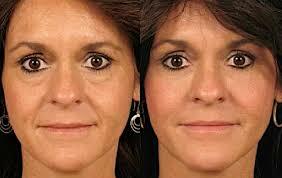 Let us recapture your youthful look with our popular age-defying and non-surgical method. Our medical team will customize procedure to lift and contour face, brows, nose, cheeks, jawlines, as well as reducing wrinkles, folds, and creases. This procedure can rejuvenate the soft tissue that has diminished with age and will restore facial fullness for a more youthful appearance and most impressive first impression.